529 Lake Drive Delray Beach, Fl 33444 has been sold. You can view available homes in Totterdale. CHARMING KEY WEST STYLE HOME IN THE HEART OF THE LAKE IDA NEIGHBORHOOD. THIS RANCH HOME BOASTS WOOD & TILE FLOORS, UPDATED KITCHEN W/ SS APPLIANCES. THE BACKYARD OFFERS SERENE SIDE VIEWS OF LAKE IDA WITH DEEDED EASEMENT ACCESS RIGHTS DIRECTLY IN BACK OF PROPERTY FOR IMMEDIATE ACCESS FOR BOATS, KAYAKS, & PADDLE BOARDS. SURROUNDED BY LUXURY LAKEFRONT HOMES, THIS GEM HAS 3 PUBLIC BOAT RAMPS NEAR, A FEW MINUTES TO ATLANTIC AVE OR THE BEACH! OVERSIZED 1 CAR GARAGE, WITH AN EXPANDED DRIVEWAY. THIS HOME OFFERS TREMENDOUS POTENTIAL, HURRY AND COME GRAB THIS PIECE OF LAKE IDA! 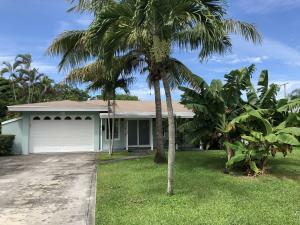 529 Lake Drive located in Delray Beach, FL is a single family home with 3 bedrooms, 2 full baths and 0 half baths.The Home at 529 Lake Drive was built in 1957 in Totterdale and offers a 1 car garage. This Totterdale Home offers bike - jog. 529 Lake Drive Delray Beach, Fl is currently listed for $575,000 under the MLS# RX-10470247. This Home has been put on the Delray Beach MLS system and currently has a status of SLD. Totterdale in Delray Beach is really a wonderful community in a great city. If you like the beautiful Delray Beach location but you are not sure about this community. You might like one of the other local communities like Rio Del Rey Shores or Parc Place North or Imperial Manor or Via Marina or Pelican Harbor that are located here. Information in regards to Delray Beach real estate and Totterdale Homes for sale or any other areas may have come from a cooperative data exchange service. All rights reserved. Information deemed to be reliable but not guaranteed. The data relating to real estate for sale on this website comes in part from the IDX Program of the Florida Regional MLS. Listing broker has attempted to offer accurate data, but buyers are advised to confirm all items. We provide all information about Delray Beach Homes for sale and Totterdale real estate and all other site listings as is with absolutely no warranties. This site will be monitored for 'scraping' and any use of search facilities of data on the site other than by a consumer looking to purchase real estate, is prohibited. Feel free to contact our agents to find a great Totterdale Delray Beach specialist.